RIPPEDience helps you figure out the supplement business with a straight forward concept – Try it before you buy it. Why waste money on supplements that don’t work for you when we can help you find supplements that DO work for you. We help you find the right supplements for your body. We help to keep you from spending money on supplements before you try them. What if your body doesn’t react well to certain supplements. Then you are out money for a product that you won’t use. We help you find the right supplements that work with your body’s chemistry. What works for you might not work for your friend and visa versa. We help to educate you on the supplements you are buying from this website. Learn what each supplement is good for before trying them or buying them. We customize your supplement needs based on your completed profile questionnaire. Why guess, when we help customize packages to fit your needs for supplements, nutrition guidelines, and even training programs. By filling out your questionnaire profile we help to remove the thinking out of the purchase decision. You don’t have to remember to reorder, and figure out which supplements are good and which are bad. We deliver the ones that make the most sense for your needs right to your door step. If you want, you can even automate the reorder process so that you have the reassurance that you will have your products shipped to you before you run out of the last one you are using. We bundle a number of supplement samples for you to try every month so that you get the best value for your dollar. The “try it before you buy it” concept. Consumers are encouraged to test out products before ultimately deciding whether or not to pay for the full sized product and claiming ownership of the product. Our company represents many different supplement companies. Part of our business model is “try it before you buy the full sized version”. Have you or someone you know ever used a supplement and complained about a headache, stomach ache, or that it just didn’t work? That’s because everyone’s body chemistry and tolerance is different. We solve that problem. People come to our website fill out a health profile questionnaire. 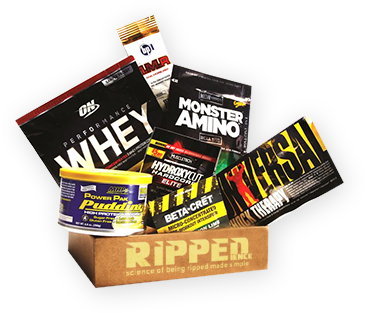 And as part of that questionnaire we fill up a box or shaker with supplement samples customized to that profile. So your only getting samples of things you might use or buy. If the product works for you and you like it then you can buy the full sized product on our website usually at a discount. This way you find the right supplements that work with your body’s chemistry and tolerance. As you know finding the right supplements that work for you is a key component to fitness success.